The subclass 485 visa is for international students that have studied in Australia and want to live and work within Australia. Who can apply for the 485 Visa? If you are younger than 50 years of age, a holder a of student visa (subclass 572, 573 or 574), and in the past 6 months completed a minimum of a two-year degree, you are most likely eligible for this visa. The key question is: Which 485 visa stream you can apply for? The graduate work stream allows new graduates to work for up to 18 months in one of the occupations listed on the Australian Shortage Occupation List. To be eligible, the graduate must have completed studies related to the job (e.g. 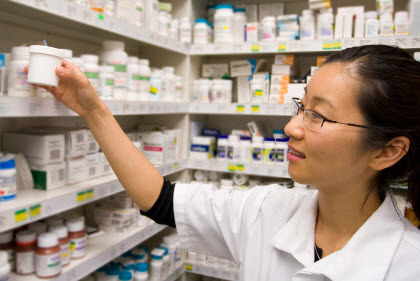 an individual who completes a pharmacy degree can work as a pharmacist). Individuals who complete at least a bachelor’s degree from an Australian university (or other qualifying educational institutions) are eligible for this stream. Doctorate = 4 Years Validity. What are the other requirements of the 485 visa? Visa condition 8501 states that all 485 visa holders must maintain adequate arrangements for health insurance. The type of health insurance for this condition is not the same as OSHC (that of a student visa). View our 485 visa health insurance comparison table to view a comprehensive list of Department of Immigration and Border Protection-compliant 485 visa policies. The applicant must have competent verbal and oral English skills. This is automatic is the individual comes from the UK, USA, Canada, NZ or Ireland. If this is not the case, you will need to pass (or prove to have passed in the past two years) an International English Language Testing System (IELTS) test. Applicants need to provide a police certificate from each country you have lived in for 12 months or more (since turning 16 years old) and provide evidence of having applied in the past 12 months for an Australian Federal Police check. The applicant should also complete a health examination (depending on your circumstances and where you have lived) to ensure they meet the health requirements of the 485 visa. To apply for this visa you must be under 50 years old. If you want to have your partner or children stay with you or join you in Australia, a combined application is possible. Family members must still pass the aforementioned health and character requirements. DIAC keeps applicants up to date with current processing times, which for the 485 visa stands at 12 months. As of May 2013, visa processing times stands at 12 months as can be seen on DIAC’s processing site. Processing time service standards for 485 visas. See the DIAC’s website for processing times. Please note, since 485 visas are exempt from priority processing, they are processed in the order in which they are received. The Department of Immigration and Citizenship’s form 990i highlights that the fee is currently $1,250 for the 485 visa.